Organize your child's wardrobe with this functional and fashionable dresser. Complete with 7 storage drawers of varying sizes, this cottage-style dresser is perfect for storing clothes, linens and accessories. At just the right height for displaying and accessing items on its surface, this dresser really comes in handy for getting ready in the morning. Paired with its coordinating mirror above you can't go wrong with this versatile item. 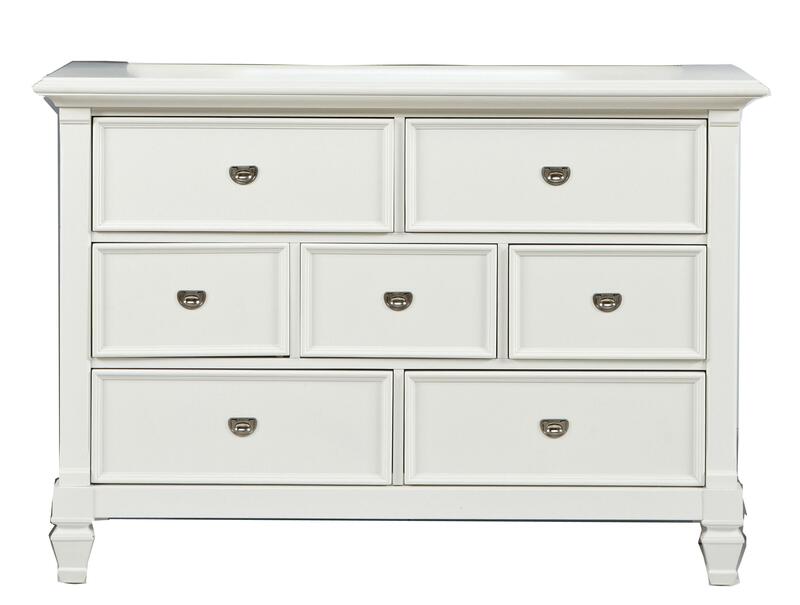 The Belmar Youth 7 Drawer Dresser by Holland House at Miskelly Furniture in the Jackson, Pearl, Madison, Ridgeland, Flowood Mississippi area. Product availability may vary. Contact us for the most current availability on this product.